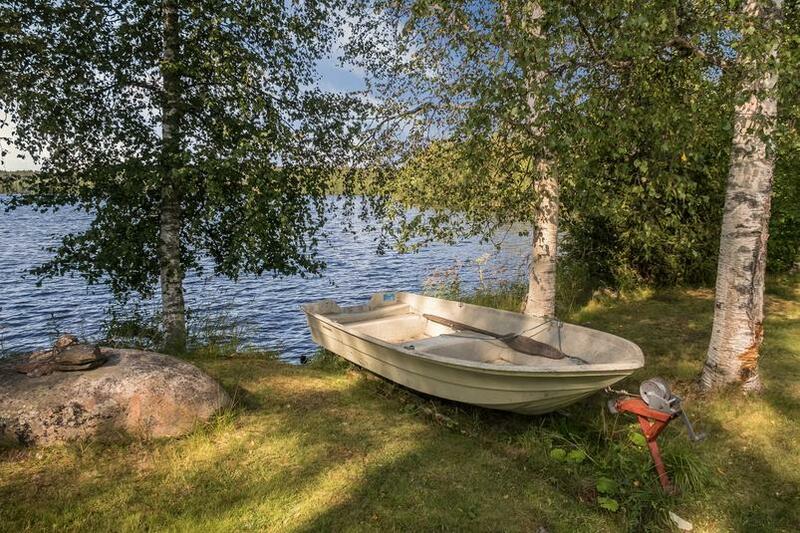 45 km north of Kajaani, River Kiehimänjoki 30 m (width 500 m), at point of cottage is a pool in river, both a deep and a shallow shore, sandy/muddy bottom, own rowing boat. 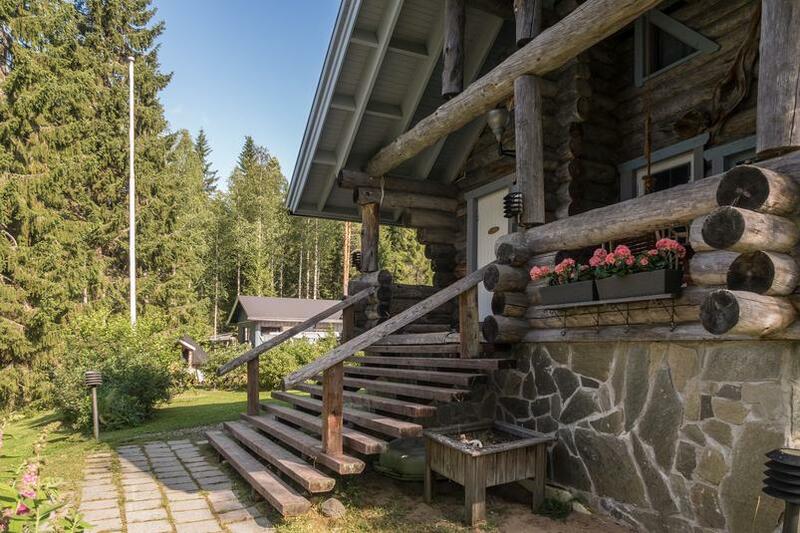 Three-storey silverlog cottage, built 1993. Middle floor (main entrance): kitchen recess, living room with dining set and two sofas, fireplace-baking oven. 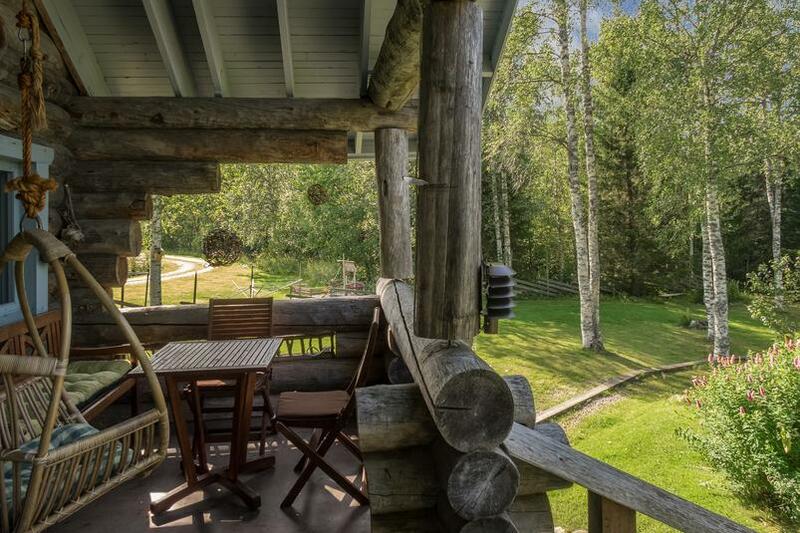 Open porch. Loft: double bed and a small wooden sofa (approx. 150cmx60cm). Loft area is suitable e.g. for three children. Ground floor: room with fireplace, sofa set and double bed. 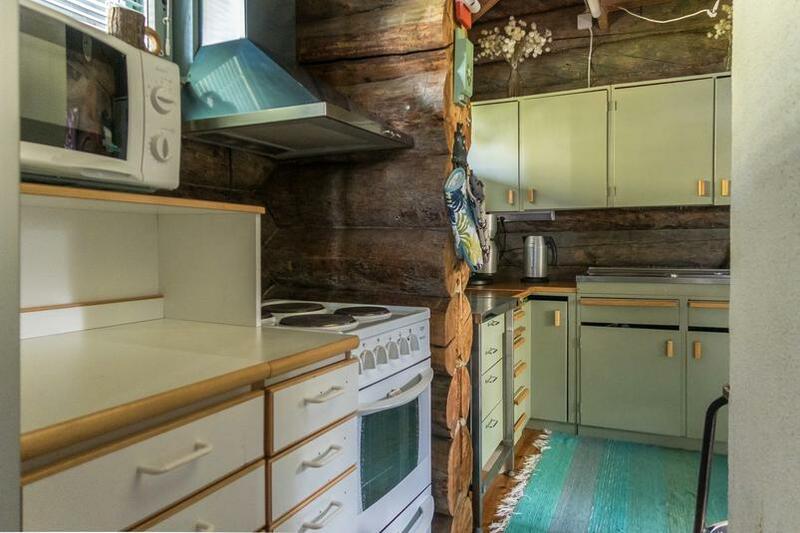 Sauna, washroom and separate toilet. The stairs leading up to the loft and downstairs are steep. Downstairs also has its own entrance. 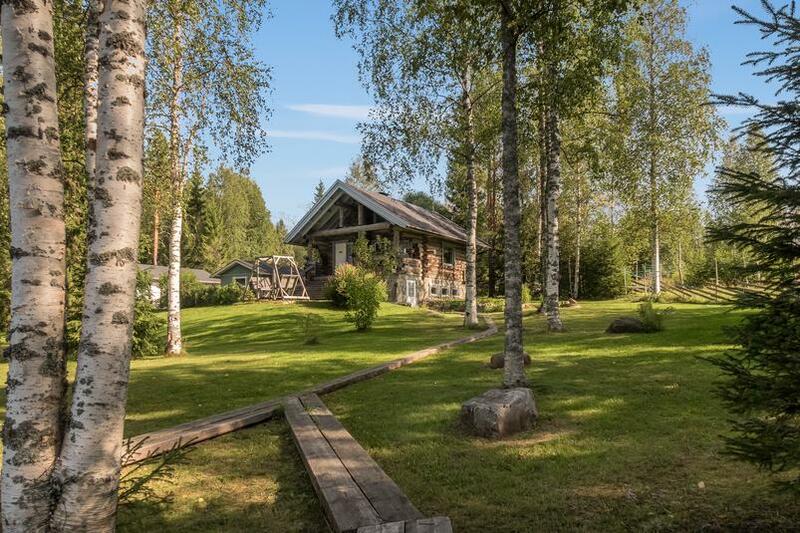 Cold water pipe from the river (to kitchen, sauna and toilet). 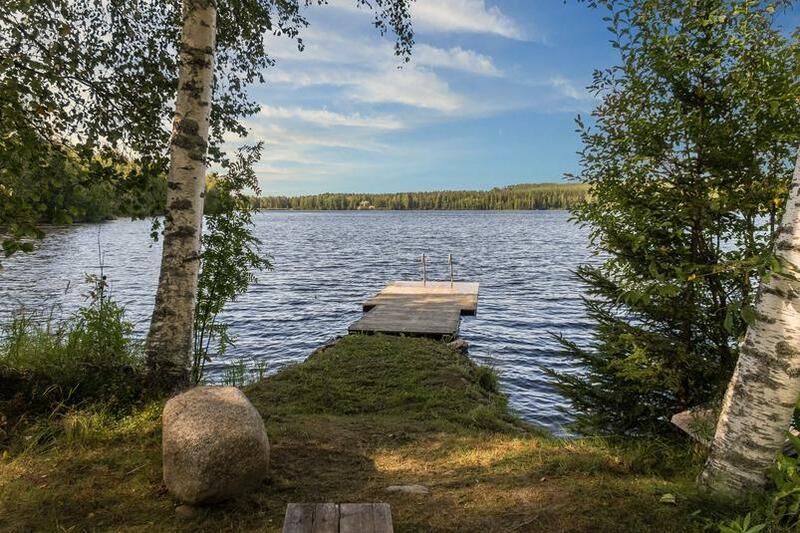 Owner brings drinking water and client can buy more from the shops in Paltamo (7 km). Lawn area. 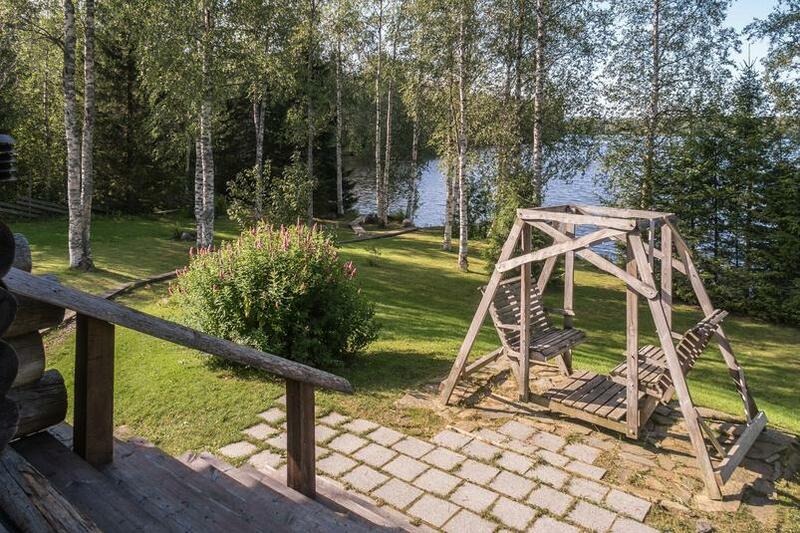 Swing, barbecue hut and dry toilet in the yard, boardwalk to the shore from the lower door. 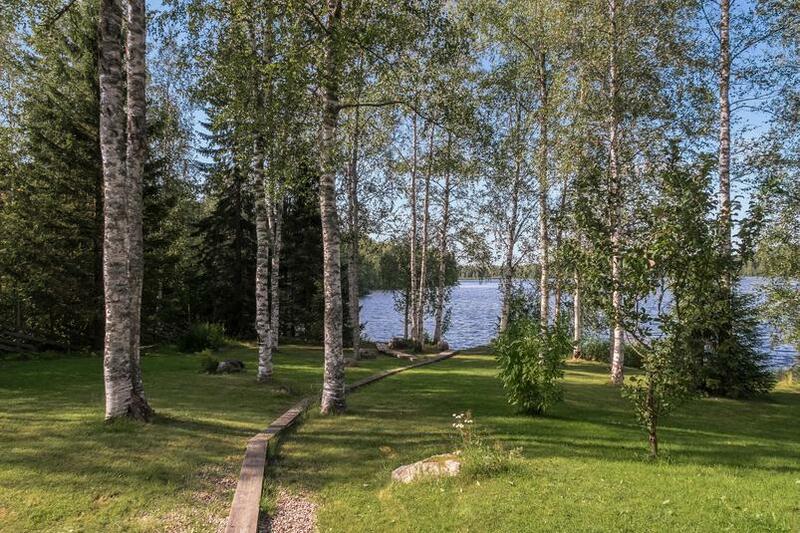 Sunny plot on slope, with birch trees. Shore faces west. Horse riding opportunities 3 km (Icelandic horses). In Paltamo (7 km) shops, gas stations, liquor store etc services. 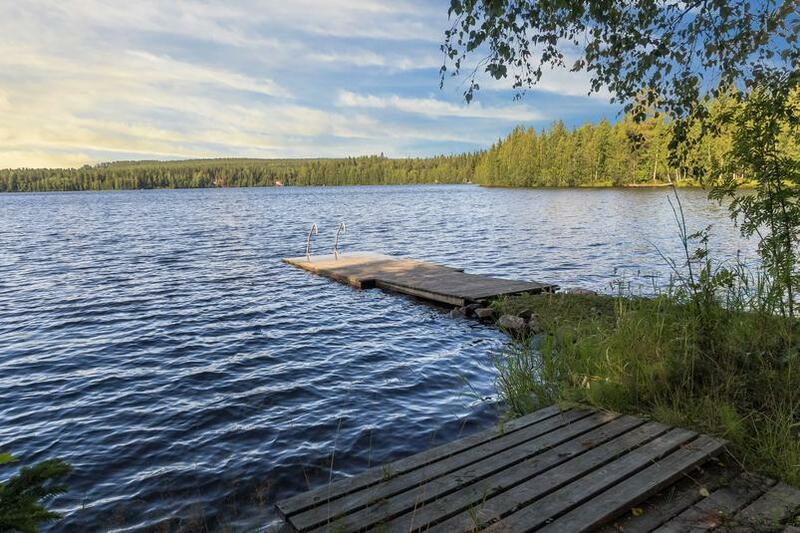 Cottage is bookable during May-September. The map link is not exact.